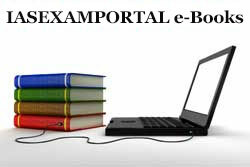 UPSCPORTAL Courses : IAS Exams Online Coaching. 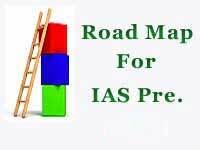 Speaking on Open Seminar on Cracking IAS Exam, UPSC New Exam Pattern and IAS Interviews. As the Civil Services exam, not mearly test your knowledge but it also tests your ability to deliver within a limited time frame. In this regard you need to have a proper planning, proper strategy and a clear road map, where you can monitor your own progress, and if necessary you can change your strategy. In this background I am suggesting few things which I hope will help you in your planning. Here, I am only presenting the General Studies Paper-I by keeping in mind that you are going to prepare the CSAT paper in according to your own convenience. Before making actual planning you must be aware of what to read, and from where to read in first stage, In second stage you must be aware of how to read, And in third stage you need to have a personal road map where you can implement the above 2 stages. This road map should be individual specific, because needs and awareness are different for different people. Now let me discuss the first stage that is what to read and from where to read. For traditional area I am suggesting these following books which according to me are more then sufficient to qualify P.T. What, Why & How by CSIR. S&T Current Affairs & S&T Chapter of India Year Book. Read current affair with Atlas, locate each & everything which are in news. Polity chapter of India Year Book. General Information chapter of India Year Book. Justice & Law chapter of India Year Book.